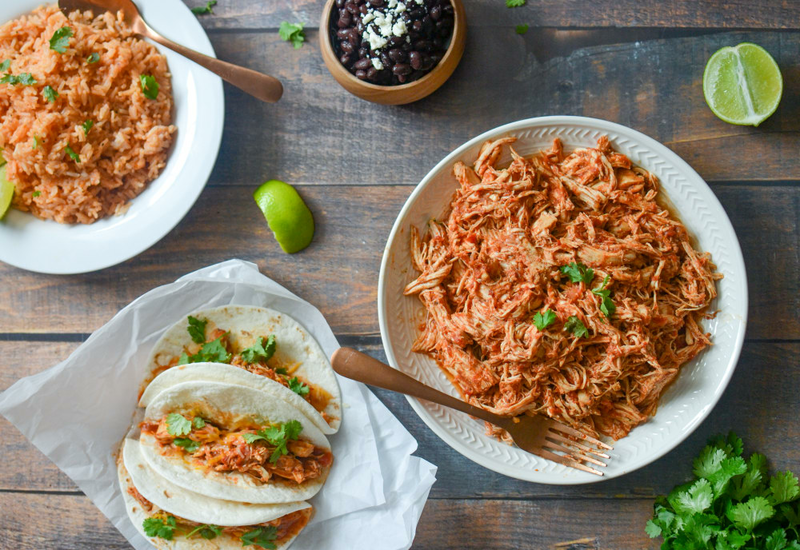 Mexican-style shredded chicken is easy to make in a pressure cooker with this recipe. You’ll get a delicious meat for whatever Mexican dishes you prefer, or just serve it with tortillas, rice, and an assortment of toppings. The key to authentic smoky/spicy flavor is using chipotle peppers in adobo sauce. When finely chopped they virtually disappear into the tender and juicy meat, but the flavor they impart is distinct and delicious! Finish with a squeeze of fresh lime or a sprinkle of fresh herbs for the full experience. This Mexican Shredded Chicken reheats well and is perfect for packed lunches. Store in individual-sized airtight containers in the refrigerator and enjoy throughout the week! Per Serving: 263 calories; 9g fat; 5.0g carbohydrates; 38g protein; 102mg cholesterol; 804mg sodium. I use this recipe for everything! Tacos, enchiladas, quesadillas, etc. It's perfect for all of my favorite Mexican dishes. The cumin, tomatoes, and chipotle peppers in adobo give it incredible flavor. It works with thighs and breasts, I've tried both. Definitely a favorite. This recipe is a keeper! I can’t believe how much flavor this recipe has, it tastes like it’s been cooking for hours! This is absolutely delicious. The chicken is juicy and I agree it is a keeper. We used Penney’s Chipotle seasoning which worked great.